When things are going well, it’s easy to be excited about playing matches. Sometimes, when you are playing at your peak, you neglect to realize there will be tough times at some point. You fall into the trap of expecting that things will always go well. 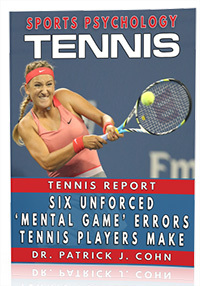 For these players, performance slumps blindside them and hit them hard. 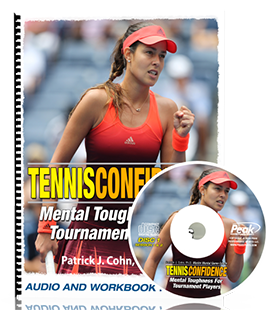 Accepting the fact that there are highs and lows during your tennis career doesn’t mean that you should expect the worst to happen after a string of good matches… It’s a matter of keeping a balanced perspective. You will be able to get over the match quicker and get back to the drawing board to work out potential kinks in your game. If you learn to look at the big picture, you will be better equipped to manage the emotion after a poor performance while keeping your confidence intact. Jamie Murray is the first British player in doubles to be ranked No. 1 but things haven’t always been easy. 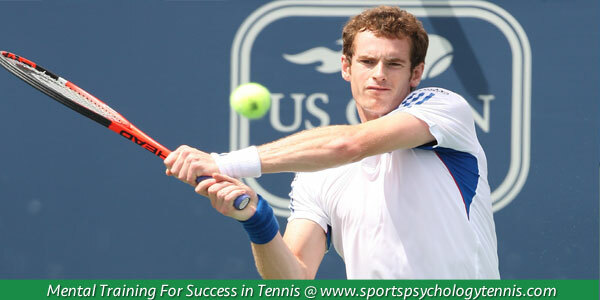 Murray experienced early success as a youth but he hit a difficult patch later in his teens. As a 10 year-old, Murray was ranked No. 3 in Europe and was the junior world No. 2 when he was 13 years old. Murray definitely experienced some ups and downs after he hit the pro circuit. Murray turned professional in 2004 and won the mixed doubles at Wimbledon in 2007. It wasn’t until 2015 that Murray reached the finals in a doubles Grand Slam event. Finally, in 2016, Murray won his first doubles title at the Australian Open. Murray stated that maybe “success came quickly in 2007” so he never foresaw that there would be down times. This oversight caused a lot of frustration and anxiety for Murray. Now armed with a better perspective and understanding of the peaks and valleys of performance, Murray is better prepared to navigate through the rest of his tennis career. After a bad match, give yourself some time before you sit down to evaluate your performance. This brief mental timeout will allow your emotions to settle down. Give yourself credit for your successes and create a plan for how you will work on improving your game. This is in contrast to beating up yourself for the mistakes you made. Focusing on future improvement and being objective will help you move through the valleys more quickly.